The Bridge Academy in Hackney has shown how a simple campaign involving recent leavers can be used to inspire current students. The school launched its ‘send a selfie’ campaign in October. They asked former students to take a selfie in front of their university building, to inspire current students considering the university route. The pictures will be displayed at the upcoming sixth form open evening, to show parents and students that students from The Bridge Academy end up at top universities. 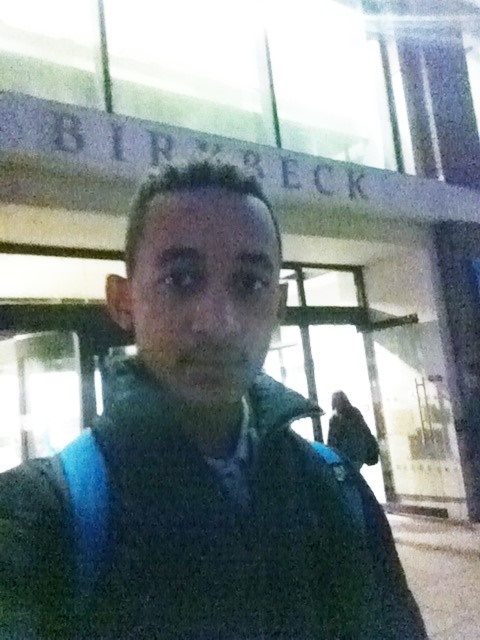 The featured picture is of Tyronne Ellis, in his first year of Business Studies at Birkbeck, University of London. This is just one example of the ways in which The Bridge Academy has harnessed the talents of its alumni this year. Generously sponsored by UBS, the school has developed a more intensive In-House programme in partnership with Future First, in which a Future First alumni officer is based on site. As a relatively new school, there are only four years of leavers. It’s easy to think of older alumni as those most able to help, but there are so many ways that more recent leavers can volunteer to support current students too. In June, the school organised an assembly focusing on ‘What University is Really Like.’ The assembly was for sixth form students, who were introduced to four alumni in their first year of university. They answered students’ questions about class sizes, living away from home and choosing the right course. For students not considering university, three alumni came back to speak in an ‘Alternative Pathways’ session. These alumni had gone straight into work or were undertaking apprenticeships, and came back to share their experience and advice with a group of Year 10 students who had been identified as less likely to go to university. The alumni spoke to students about less traditional academic routes and their experiences ‘one year on’. The Bridge Academy has also used the views of their alumni to inform the way that they work as a school. Three former students attended a Governors’ Meeting to share their perspective on sixth form provision and the support they received whilst at the Academy.